We make bicycles happy. Our customers are often happy too. Sometimes we even get photos of them in happy looking poses. Get a sense our work and the variety of bikes we sell and service. 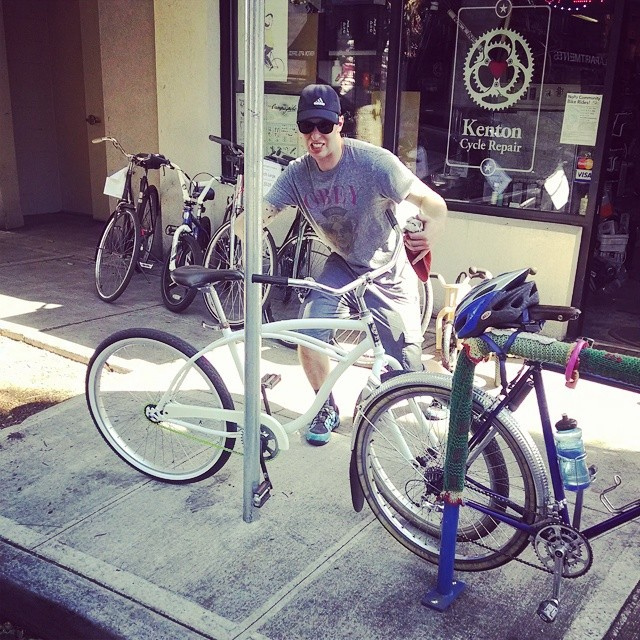 Usually I am very intimidated to go to a bike shop. 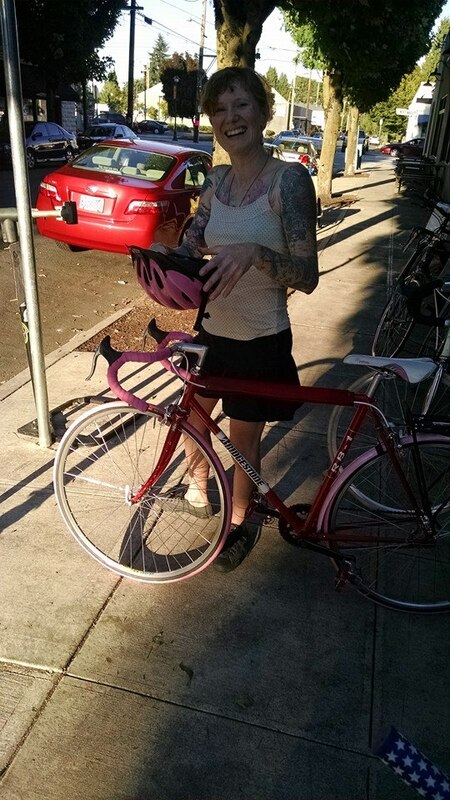 I love to ride, but like a lot of folks don’t know much about bike basics. I recently had gotten a new bike and (embarrassingly enough) didn’t know how to pump up the tires with the smaller sized valve. Christy's refurbished Schwinn. She had it repaired, we did the rest. Original Sante drivetrain paired with new, quality components. Steve's Fuji rebuild. Specialty repaint with decals, rebuilt by us. Handbuilt wheels for long lasting durability. Nicole was hit by a car. Thankfully the bike took most of the damage from the crash, though we're sad it was totaled. This high quality Univega frame was almost an exact geometric match to the Trek 420. We salvaged what we could from her old bike and build up a new steed. Nicole was quite pleased! 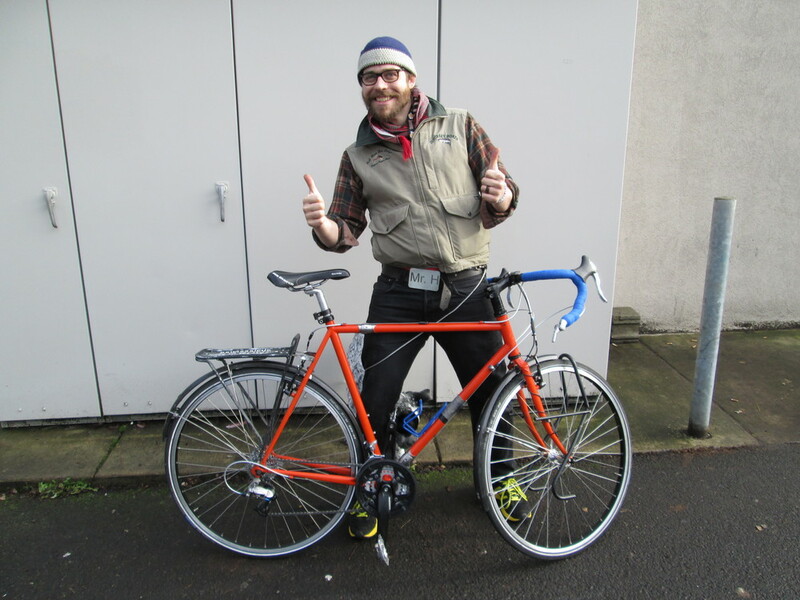 I’ve been to many other bike repair shop [KCR] are really kind, helpful and honest. They did a lot of small extra work on top of what I paid. One of the best bike shop repair out there, really quick and done sooner then expected. Really great prices and they’re willing to work with you and understand all that needs to be done. One of KCR's museum pieces. The Specialized Rock Combo. Made in 1989 only featuring a mountain bike set up with road bars. These Condors were in the shop for different repairs at the same time. The blue Condor is a complete refurbish.